Jennifer Bryant aka Classy Silhouette is a talented singer songwriter and producer. For several years now we have been presented with multiple projects of multiple genres from The Siren. We have heard RnB/Soul, Pop, EDM, and even Blues from this musical queen. However there is something that is being overlooked when it comes to Her work....not only is she the singer and the writer on these projects but she is the producer. And little be known Jennifer Bryant aka Classy Silhouette has always been open to producing other artists. "I think that because of the way the business has been operating for so long with males usually doing the type of work I&apos;m doing...it has caused other female artists to compete with me more as an artist instead of recognizing me as a producer and saying &apos;Hey maybe we can get JB to build a track, or write a song for this project&apos;. I&apos;ve always been open to work with other people but with all of the misrepresentation by strangers who claim to know me but never actually even held a real conversation with me has caused people to feel estranged from me. Or look at me as a threat. I mean I have been totally mistreated. The males can&apos;t understand how I am doing it all myself and try to kind of bully me because I am a female and then it seems that they influence the female artists to try to compete or &apos;dethrone&apos; me. Sometimes all I can do is shake my head when I see the big mess that has been created all fueled by lies and rumors. It&apos;s rough to have to stand alone in such a chauvinistic environment and also to see the amount of degradation that females have to be made subject to but I&apos;m tough enough to handle it. Anyway at this point I have no choice but to stand alone. I&apos;ve been lied on, lied to, had my work stolen out of my computer and plagiarized and who knows...maybe they even went as far as trying to blackball me so no one will hear my stuff and figure out where they stole it from.I just can&apos;t wait to see the day when women can get more respect in this business. " says the multitalented diva. "It is really disappointing to see men treat women as whores and women present themselves that way and it saddens me when I see them turn around and try to address me that way... When I am nothing of the sort. It is also sad when someone you used to admire steals your work. It leaves you no one to look up to. No one to enjoy listening to on the radio during your leisure time for relaxation. It just leaves a sour taste in your mouth. But I will tell you one thing....it will not stop me from using the gifts that God gave me. Unfortunately that is part of the game and the only thing you can do is sue them if they infringe on your copyright and steal your intellectual property. I&apos;m not into this thing they call beef. We can settle our differences at the courthouse." Says the independent queen Jennifer Bryant aka Classy Silhouette. There has been mention of a new artist that Jennifer Bryant aka Classy Silhouette is producing and will be releasing under her own banner. There has been no release date so we are unsure if it will even be anytime soon. Hopefully this will break up some of the misconceptions about what the singer songwriter producer really represents and what her true intentions are. From the words she has spoken...she is just a Queen wearing her crown and wants all women to respect themselves and be able to be respected as Queens and Goddesses. 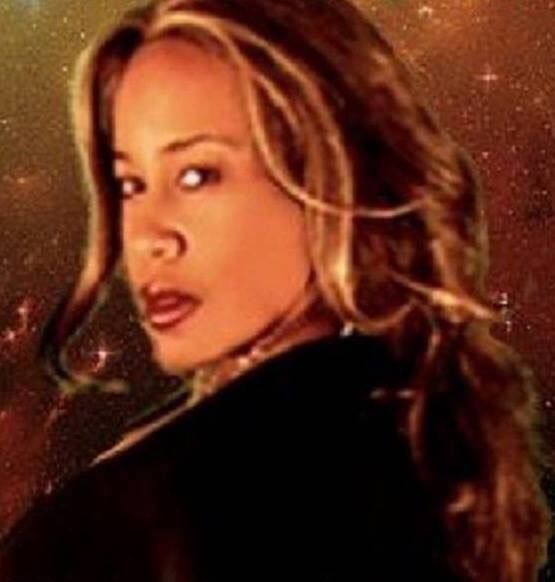 And so Jennifer Bryant aka Classy Silhouette will continue to produce more music and videos on herself and other artists...if you are interested in her new releases you can subscribe to her official websites http://www.ClassySilhouetteTV.com or http://www.ClassySilhouette.com. It is absolutely free to subscribe. Members of the site will get free downloads when provided, chances to be selected to receive free VIP passes to upcoming events, notifications about new releases and more. SUBSCRIBE TO CLASSY SILHOUETTE TV FOR FREE TODAY!